Improve the overall interior design of your living room, dining room, or hallway with this Artistic Weavers Paysandra area rug. Add this indoor/outdoor rug to your home for a comfy, yet stylish design option since it is made from plush polypropylene material. Bring this hand-made rug into your home for a durable interior design option. Add this floral plants patterned orange rug to the dicor of your home for a contemporary infusion. 5 ft. X 7 ft.6 in. Paysandra Orange 5 ft. x 7 ft. 6-inch Indoor/Outdoor Transitional Rectangular Area Rug Improve the overall interior design of your living room, dining room, or hallway with this Artistic Weavers Paysandra area rug. Add this indoor/outdoor rug to your home for a comfy, yet stylish design option since it is made from plush polypropylene material. Bring this hand-made rug into your home for a durable interior design option. 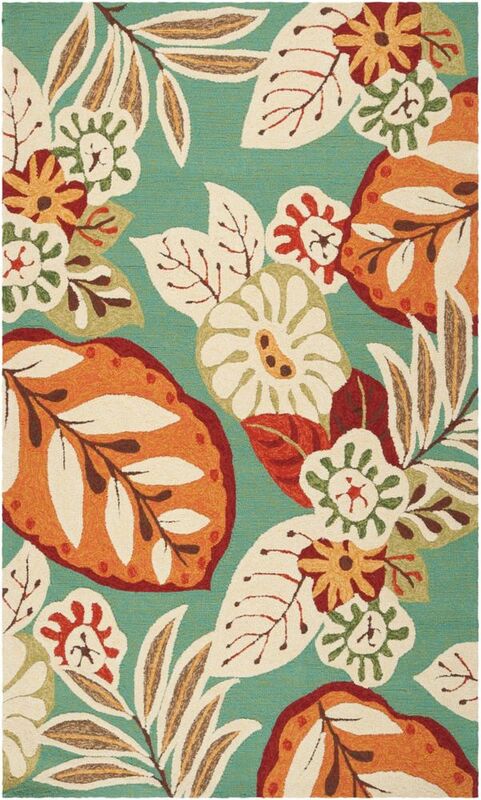 Add this floral plants patterned orange rug to the dicor of your home for a contemporary infusion.